French scholar of the second half of the tenth century. Moses is the earliest scholar of the city of Arles of whom there is any definite knowledge. 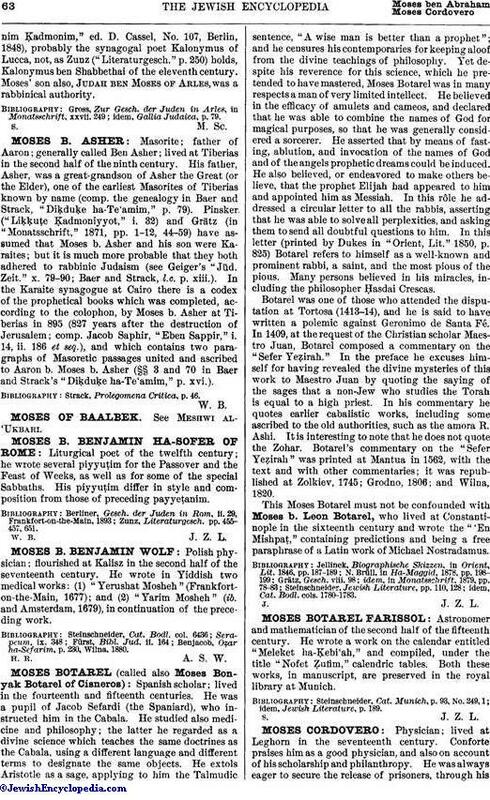 The only writing of his that has been preserved is on a halakic question concerning a civil case submitted to Kalonymus (see "Mordekai," Shebu`ot, vii. ; comp. "Teshubot Ge'onimḲadmonim," ed. D. Cassel, No. 107, Berlin, 1848), probably the synagogal poet Kalonymus of Lucca, not, as Zunz ("Literaturgesch." p. 250) holds, Kalonymus ben Shabbethai of the eleventh century. 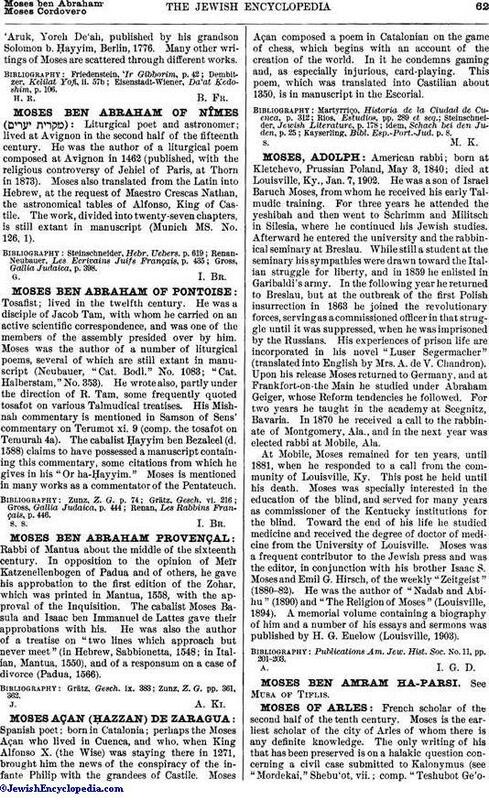 Moses' son also, Judah ben Moses of Arles, was a rabbinical authority. idem, Gallia Judaica, p. 79.